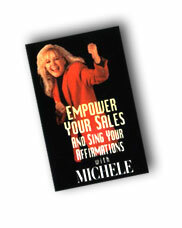 The first CD holds a powerful talk about sales and the second CD has the Musivation™ technology. This method affects both hemispheres of your brain; the right side � your emotional, creative side � with the music and the left side of your brain � the analytical side � with the powerful positive messages. If you truly desire to go beyond in your sales this program is for you.